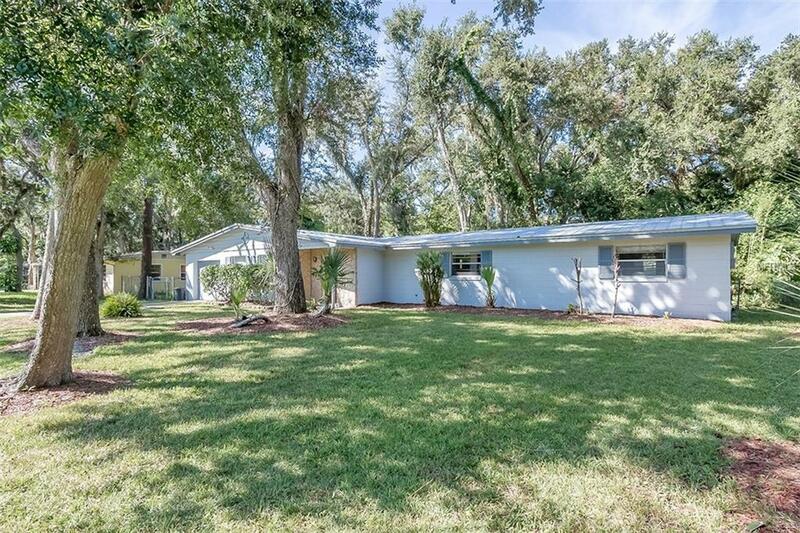 Wonderful opportunity for a 3 bedroom, 2 bath home in this desirable ''Heart of Town'' Ormond Beach location just 1 block from 149 acre Central Park. This 3 bedroom, 2 bath home was constructed of concrete block and features a new roof and AC leaving a new buyer with no major projects on the horizon. The large lot is shaded by mature hardwoods and offers plenty of privacy. The master bedroom features a dedicated bath with double closets and the 2nd and 3rd bedroom share a tile bath with tub in beautiful shape. Bedrooms are carpeted and the living areas have over-sized tile laid throughout. The family room is bright with large windows that allow plenty of natural light that's filtered through the beautiful trees that cover the front yard. A double threshold from the family room opens into the dining space and kitchen with breakfast bar and pantry. Kitchen sink sits beneath a window that overlooks the private backyard. Sliding glass doors open directly to the lovely screened lanai that can act as an outdoor living or dining space. Just a short walk away...Central Park has miles of walking trails, picnic pavilions, playgrounds, outdoor exercise equipment, tennis and a kayak water trail that connects the many lakes. Of course this property is just minutes to the Atlantic Ocean and our spectacular beaches.